Diane B. McColl | Hyman, Phelps & McNamara, P.C. Diane Barber McColl works with chemical and ingredient supplier companies, providing counsel on the regulation of their products and biomaterials intended for use in human foods, medical foods, dietary supplements, food contact articles, animal foods, medical devices, cosmetics, and pharmaceuticals. She has advised clients on FDA and USDA regulatory issues for over 30 years, helping manage products throughout their lifecycle. Ms. McColl’s scientific and technical knowledge gained from her former career as a pharmacist enhances her work with research and development teams. In particular, she is an expert on issues related to the development of new food ingredients. Because of her extensive industry knowledge of foods, dietary supplements, animal foods, OTC drugs and cosmetics, Ms. McColl often conducts due diligence for mergers and acquisitions. Ms. McColl provides guidance on U.S. aspects of global regulatory strategies for novel food ingredients, including sweeteners, functional ingredients, processing aids, color additives, fermenting agents, and flavor modifiers. She also helps clients evaluate, develop, and defend product labeling and advertising, reviewing health and “structure/function” claims. 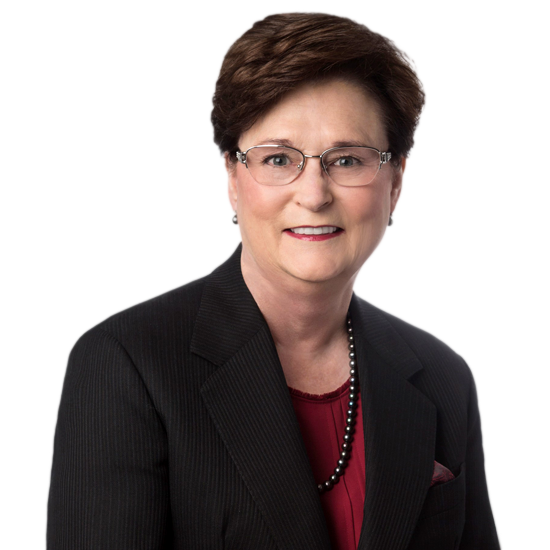 Ms. McColl joined Hyman, Phelps & McNamara in 1989, and today is one of the food and chemical industry’s foremost experts on FDA and USDA regulatory issues. She has served on the Food Ingredient Expert Committee of United States Pharmacopoeia (USP) since 2010. Ms. McColl also served as President of the International Society for Regulatory Toxicology and Pharmacology (ISRTP). Ms. McColl is currently a member of the ISRTP Council. Since 2010, Chambers USA has recognized Ms. McColl each year on its list of attorneys for “Food & Beverage: Litigation & Regulatory.” In addition, she has repeatedly received the “Highest Possible Rating in Both Legal Ability and Ethical Standards” awarded by Martindale-Hubbell. Helps clients develop lifecycle strategies for FDA-regulated products; specifically, GRAS food ingredients, medical foods and dietary supplements, food and color additives, and food contact substances. Provides guidance on FSMA and FDA’s interpretation and implementation of its statutory and regulatory requirements. Helps clients prepare for and respond to FDA inspections, addressing health hazard evaluations, recalls, and reportable food registry reports. Provides crisis management counsel, responding to allegations of safety concerns, questionable data, and lack of scientific grounds. Assists with the development of USDA-regulated products, including those ingredients intended for use in meats, poultry, and organic products. Helps clients establish AAFCO Official Definitions for the use of new ingredients in animal feed and pet foods. Provides counsel on submission categories for food and feed ingredients, including GRN, NDIN, AGRN, and food additive petitions. Advises on FCNs and requests for Threshold of Regulation (TOR) exemptions. Assists with regulatory strategies to introduce and market ingredients for OTC drugs and cosmetics, advising clients on the use of color additives in cosmetics, and on safe and suitable excipients in OTC drugs.